Situated ca. 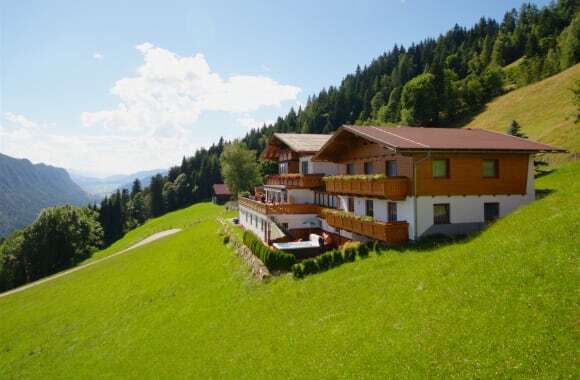 2.5 km from the Bundesstraße and from the town, our mountain farm is in a very quiet and sunny location with a magnificent view. 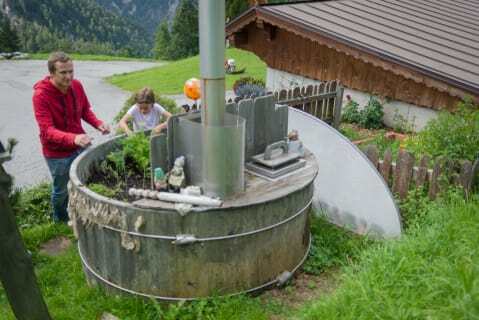 Our farm and the Dachstein Tauern region are the ideal holiday destinations for young and old alike. Whether it's hikers, climbers, horse-lovers or holidaymakers in search of relaxation, we have something for everyone! We will pamper your tastebuds with a rich breakfast buffet and a hearty, down-to-earth evening meal. We use produce from our own farm. We are a non-smoking farm, and our lovely common room and dining room are also non-smoking areas! It is our goal to bid farewell to satisfied guests at the end of each stay. We would be delighted to welcome you as a guest to our farm and will be happy to respond to any enquiries. Very spacious holiday apartment attached to the main building. One room with double bed, one room with 2 single beds. Spacious kitchen/living room with large seating area. Separate bathroom and WC. Satellite TV, radio and a large balcony with a view of the mountains, as well as a lovely tiled stove. Newly-furnished, cosy single room with balcony. Perfect for solo travellers. With satellite TV, radio, balcony and complimentary wireless Internet access. Lovely, newly-furnished double room. All double rooms (except 1) with satellite TV and radio, shower or bath, balcony. Complimentary wireless Internet access in the main building. Three-bed room with balcony, satellite TV and radio, shower and bathroom, WC. Complimentary wireless Internet access in the main building. Spacious family room with 2 separate bedrooms, 2 x satellite TV, 2 balconies. The bathroom and WC are combined. Lovely, newly-furnished double room. All double rooms (except 1) with satellite TV and radio, shower or bath. Complimentary wireless Internet access in the main building.